The latest and greatest of influencers of the fashion world grace magazine covers sporting minimalistic styles centered on a capri legging. Wear your capri leggings to the gym the studio, or for a casual yet chic outgoing look. Style your breezy or intense training days with a pair of women’s capri leggings for those unrestricted and comfortable training sessions. With unique and inspirational styles, browse through the latest and greatest designs in capri leggings right here, with Sun & Sand Sports. Women’s capri leggings are believed to have been introduced to the world by fashion designer Sonja de Lennart in 1948. The name is derived from the Italian isle of Capri, where the style rose to popularity in the late 1950s and early ‘60s. 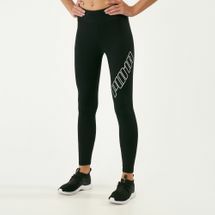 Popular during the end of the spring season and the whole of summer, women’s capri leggings are designed to be worn by women of all ages, shapes and sizes. Capri leggings are those that are cropped anywhere between the calf to above the ankle which gives you the perfect, summer chic look. You can create fabulous looks by pairing a simple style of Ccapri legging and a plain layered top. Even with activewear, capri leggings are designed to enable flexible movement during training, ensuring breathability in a lightweight design. 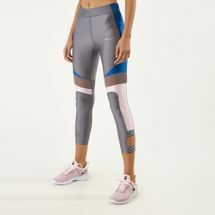 Shop your must-have pair of women’s capri leggings online to take your stylish adventures to the next level; grab your women’s capri leggings in all styles, designs, colours and materials, from our online store. Check out our latest collection of capri leggings online and shop at Sun & Sand Sports to receive your order in Kuwait City and the rest of Kuwait.